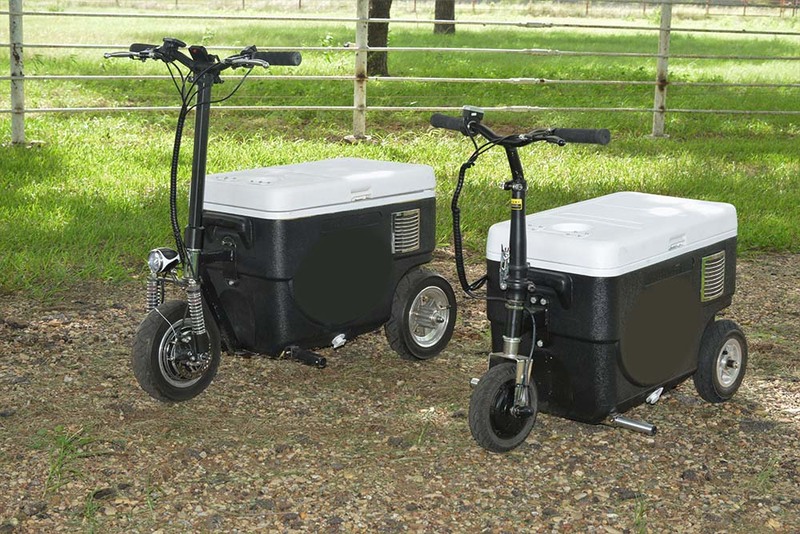 The Coolers offered by Riding Coolers combine two basic necessities of life, the ability to have cold food or a beverage handy, along with the means to get somewhere… without walking. 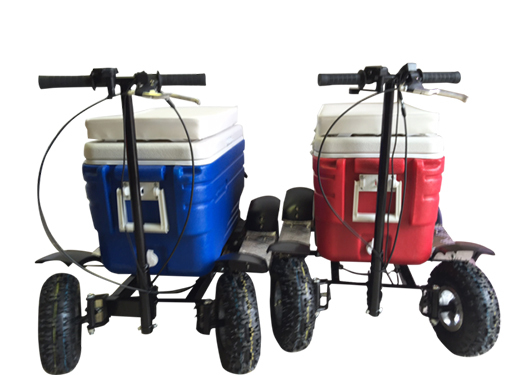 The Coolers are light-weight, come in various sizes and colors and are available in both gas and electric models, with up to a 15-20 mile range on electric models and 30 miles on the gas models. The cooler is light and small enough to fit in most trunks. The coolers can be used for tailgating, camp grounds, car shows, horse shows, hunting, sporting events, races, golf or even a trip to the grocery store to keep your food cold all the way home. Both the Cooler Scooter and the All-Terrain Cooler Go Kart are also great to ride in PARADES! (ask us about decals). These will be popular at the marina—your new cooler can help you to take your fish/drinks/food/ ice to and from your boat with powered assistance and braking. Simply ride or power your way up and down ramps. ALL PRICES ON THIS WEBSITE ARE STATED IN US DOLLARS.